සන්ධ්‍යා නිරෝෂනීලාගේ කතාව. | තරුණ ගුරුවරයකුගේ සටහන්(A young teacher’s thoughts). අලුත් අවුරුද්දක අලුත් පාසල් වාරයක් කියන්නේ ළමයින්ට අළුත් අත්දැකීමක්. ඉස්කෝලේ පටන් ගත්තම උදේට කට්ටිය එන්නේ සුදුම සුදු පාටින්. අළුත් සපත්තු, අලුත් පොත් බෑග්, අලුත් පොත්, පොලිතීන් කවර දාපු ලියන පොත් ගොඩක් ළමයින්ට තියෙනවා. අර පාසල් දාහේ ව්‍යාපෘතිය නිසා ලොකු ඉස්කෝලෙට දාන්න දතකාල බැරි උන ළමයි උදේට එක්කං එන අලුතින් දකින දෙමාපියෝ හැමදේම අලුත්. පංති වලට ගියාම හැම ළමයම හිනා වෙලා ලොකු පොත් මිටිය මේසේ උඩින් තියලා මං දිහා බලාගෙන අනේ අපිව කොහොම හරි හොද රස්සාවක් කරන්න පුවවන් තැනට උගන්නන්න සර් කියලා කියනවා වගේ මට දැනෙනවා. කොහෝම හරි ඔය විදියට අලුත් අවුරුද්දේ පලවෙනි පඩිය ගන්න දින කීපයක් තියලා හැම පංතියකටම යන්නේ හැමදේම අලුත් නම් ඒ හැඟීම ළමයින්ට ඒ විදියටම දරා ගන්න දෙන්න ඕන නිසා. ඒත් කරුමෙක මහත. ළමයි මං කිව්ව නේද අර පොත් ටිකක් හදාගන්න කියලා? හරි පෙන්න්න මට, ගුරු දෙගුරු සම්භන්ධතා පොතයි, දවසකට එක ගානේ ඉංග්‍රීසි පිටපත් ලිවීම ලියන පොතයි, ඉංග්‍රීසි අමාරු වචන ලියන පොතයි, අත් අකුරු ලියන ඩබල් රූල් පොයි ගන්න. පංතියේ නීති කීපයයි. පෙත් ගන්න විදියක් නැත්තං මට කිව යුතුයි. මට කියන්න බය නං ප්‍රධාන ශිෂ්‍ය නායිකාවට හෝ නායකයාට කිවහැකියි. වැඩ නොකිරීමට කිසිම සමාවක් මගෙන් නෑ. කොහොමින් කොහොම හරි ඔක්කොමලා වැඩේ කරලා තිබුනා. නමුත් පිටිපස්සේ වාඩිවෙලා හිටපු අපේ කතා නායිකාව වැඩේ කරලා තිබුනේ නෑ. ආසන්න වශයෙන් පිටපත් ලිවීම් පහලොවක් තිබිය යුතු උනත් නෑ. විශ්වාස කරන්න මං වැඩක් කිව්වොත් ළමයි නොකර ඉන්නවා මං දැකලා නෑ. නමුත් ළමයෙක් දිහා බැලුවම මට බොහෝ දුරට කියන්න පුළුවන් මං පවරපු රාජකාරිය ඇයි මග ඇරිලා තියෙන්නේ කියලා. මෙතනින් එහාට මං ලියන එක නොකියවා ඉන්න ඔබට පුළුවන්. මොකද ලොකේ මිනිස්සුන්ගේ දුක නොදැක අපිට ලැබිලා තියෙන දේන් සතුටුවෙලා ඉන්න කාට හෝ තියෙන අයිතියට මං ගරු කරනවා. සන්ධ්‍යාගේ ඩෙස් එක ගාවට මං ගියාම මං දිහාම බලං හිටිය සන්ධ්‍යාගේ ඇස්වලට පොල් ගෙඩි වගේ කදුළු වලිං පිරුනා. ඔයා ගිය අවුරුද්දෙත් හත වසරේම නේද හිටියේ. මට කියා ගන්න පුළුවන් උනේ එච්චරයි. කෙල්ල හයියෙන්ම ඇඬුවා. අනික් ළමයින්ට පසුදින පිටපත් ලිවීම එවලේම ලියන්න බල කරපු මං සන්ධ්‍යාට පරිගණක විද්‍යාගාරයට එන්න කිව්වා. කෙල්ල කතා කරන්න උත්සාහ කලත් වචන පිටවෙන්නේ නෑ. හරි හරි දැං ඇති. 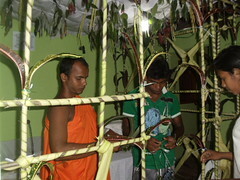 (පුධාන ශිෂ්‍ය නායිකාවත්. OL . විභාගය ලියපු ඔෂාන් මනෝජ් කොලුවත් ලැබ් එකේ. නංගී බලාගෙන ගෙදර ඉන්න උනා. මං ආපහු ආවම මං හතේම ඉන්න උනා. අපේ තාත්ත අම්මව දාලගියේ මං දෙක වසරෙදි. මං ඉස්කෝලේ ගොඩක් ආසයි. ඒ නිසා මං මෙහෙම කැඩී කැඩී ඉස්කෝලේ ආව. අපේ ගේ ගොඩක් දුරයි ඉස්කෝලේ ඉඳලා……..
අලුත් සපත්තු අම්ම අරං දුන්නද? පොත් ගත්තේ නෑ සර්. අම්ම අරං දෙනවා කිව්වා. ඔය තියන පොතේ ලියන්න තිබුනනේ? ටිකක් ලිව්ව සර්. අම්ම දමසම ගෙදර නෑ. මං ගෙදර ගිහිං නංගිලා දෙන්නගේ වැඩත් කරලා, රෙදි ටික හෝදලා, උයන්න ගන්නවා. පහුගිය ටිකේම ගෙදර ලාම්පු තෙල් තිබුනේ නෑ. අහල පහල කරන්ට් එක තියේද? මේ ළමයට තාම අවු.12කි. අවු26ක් වෙලා ගෙදර කුස්සිය තියෙන තැනවත් නොදන් තවත් කෙල්ලක් මම දන්මි. මේ මොතේ ඇයට සහ ඇගේ මවට නම් කිවිසුම් යනවා ඇත. මං ආපහු කතා කරන්න ගත්තා. හරි. අද ඉදං මං තාත්ත කියලා හිතන්න. ප්‍රශ්නයක් තියෙද් දී මට කියන්න. අම්මගෙන් හැමදේම ඉල්ලන්න එපා. ඔයා ගොඩක් හොඳ ළමයෙක්. සර් අද හවස මභේෂ් සර් එක්ක ගෙවල් පැත්තේ එන්නං. එවලේම මං ඇයට සහ නංගිට අවශ්‍ය පොත් ටික අරං දුන්නා. තඩි චොකලට් දෙකකුත් අරං දීල ගෙදර යැව්වා. අපිට අම්ම තාත්තා ඉඳලත් අපි පිස්සු නටනවා. ඒ නංගී ගෙදර වැඩත් කරනවලු. මං ඒ නංගී තරං ගෙදර වැඩ කරන්නේ නෑ. ඒත් හෙට ඉඳං අම්මට ටිකක් වැඩිපුර උදව් කරනවා. ප්‍රධාන ශිෂ්‍ය නායිකාව ඒ. ඒක නම් සහතික ඇත්ත. එහෙම කිව්ව ඔෂාන්. දැං සර් මොකද කරන්න යන්නේ??? උන් දෙන්නම මගෙන් ඇහුවා. මගේ හිතේ ඒ ළමයගේ ගෙදරටත් අයේෂිකාලට වගේම විදුලිය ළබා දෙන්න ඕන කියලා හිතුනා. ඉතිං හවස් වෙලා ඉස්කෝලේම හවස් වරුවේ පංතියකුත් කරලා මං ගියා මහේෂ් මහත්තයි, අපේ වයරින් අයියා (ආදරේට කියන්නේ YK කියලා) ඒ ළමයාගේ ගෙදර. ගේ දැක්කම මට පුදුම දුකක් දැනුනා. වාව ගන්න බැරි දුක හිතේ තද කරං අපි සන්ධ්‍යාගේ අම්ම එක්ක කතා තලා. දරුවගේ තාත්තා මාව දාල ගිය වෙන ගෑනියක් එක්ක. එතකොට පොඩි දරුවට මාස දෙකයි. මං බඩත් එක්ක මේ වතුවල වැඩ කලා. කොහොම හරි නොකා නොබී මේ ගේ කෑල්ල හදා ගත්තා. ලොකු දරුව තමයි හයිය. එයා තමයි සර් ගෙදර වැඩටික ඔකොම කරන්නේ. පහුගිය දවස් වල පොඩි දරුව අසනීප වෙලා කරාපිටියෙත් ගියා. වෙච්ච ණය නිසා මං දිගටම වැඩ කරන්න උනා. ඒ නිසා මේ කෙල්ලට ඉස්කෝලේ යන්න බැරුව ගියා සර්. සර් අරුණ සර් වෙන්න ඇති. නිතරම මෙයා කියනවා ගෙදර ඇවිත්. මේ තමයි ඒ ගේ දැං තත්වය. ඉතිං සමහර වෙලාවට හිතට එන දේවල් කියන්න බෑ. මං ගොඩක් දේවල් හිතට ආවත් එව්ව ඒ වෙලාවේ කිව්වේ නෑ. කෙල්ලට පාඩම් කරන්න චිමිනි ලාම්පුවක් අරං දෙන්න කියලා අතට රු.300ක් දුන්න මං මහේෂ් සර්රුයි, වයි කේ අයියාත් එක්කයි එන්න ආව. ඒත් ආවේ හිතේ තියෙන දේවල් කියන්නේ නැතුව. මට ක්ෂණිකව පොත් ටිකක් ලාම්පුවක් අරං දෙන්න පුළුවන් උනාට ගොඩක් ලොකු දේවල් කරන්න බෑ. ගෙයක් හදනවා වගේ. අපේ 12 වසරේ ළමයි ටික එයාලගේ ශ්‍රමය දෙන්න සූදානම්. ඉතිං අපි දැනට අපිට පුළුවන් හරියට හිතලා නතර උනා. ඒත් තාත්තා නැති මේ අසරණ ළමයින්ට උලා කාලා හරි, ආරක්ෂාවක් ඇතුව දොරක් වහගෙන ඉන්න හිටින්න තැනක් හදල දෙන එක ගැන හීනයක් හීතේ පැලපදියං උනා. I am Aruna Chaminda Pushpakumara. I was born as the eldest of my family. I have one sister. we live in Galle. I was a extrovert character from my childhood. I used to be with my grandmother when I was a child. She was my first teacher. She lived in Polonnaruwa and to day I believe, the time I spent with my grandmother has made me who I am today. From the childhood I wanted to learn every thing. I didn’t want to pass the examinations. But wanted to learn how things work. I was not a tamed boy. As my grandmother most of the time had to visit my school for principals, class teacher’s messages. I did two things from the beginning. One was mathematics. The other was English. I got through my OL with a distinction for mathematics. Then every one in my family wanted me to learn to be an engineer. But I wanted to be a doctor. I got through the GCE AL. But couldn’t enter the university. Then I applied for national college of education. I got selected for Mahaweli National College of Education. This is the place where I became a different man. I followed the teacher training course and of course I rather followed IT over there. Most of the time I observed thing deeply and I had the ability to endure thing thoroughly. After three years of my training I came out from the college. Even to day I would like to thank full my teachers over there. Madam Rathnayake,Madam Manik wawegama. Especially Assistant Principal Mr.Premadasa of Nugawela Boys College was some people I will never forget. As a whole by Teacher training I got vast knowledge, and experiences which I absorbed through out that time period helped me to work and think not only a Teacher but a counselor, also as a matured person who can understand things and how the universe works. I got my teacher appointment in 2006. 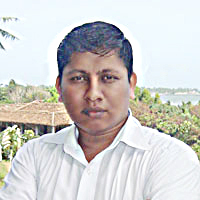 I came to Batuwangala Maha Vidyalaya as an English teacher. Batuwangala Maha Vidyalaya is a Beautiful location. I was living in busy environment before coming here. But after I came to Batuwangala I felt that I came to the place where I meant to be. So Finally I studied about the village and one day mathematics teacher Mr.Sarath brought me in to the computer lab. I saw more than 20 computers were there. Dustfull environment. Only three pcs were preferably could use. Mr.Sarath talked to me and he talked to principal and so I became the in charge of the lab. I cleaned the lab for more than 24 hours with senior students. Students were curios abut their new teacher who rarely speaks Sinhala. I finished the labs security levels and opened the lab for children. We published a website for our school. Within one month. Student became friendly and I always asked them to take me as a friend who knows more than them.I also have given them the freedom to think up to far far away so they can explore things in different ways. I asked them always to start thinking where I stopped. I taught them not to pass all that examinations but to live. One day accidentally Mr.Block Jayathissa who was the Southern province IT director for SEMP talked to me. So as we were given evillage project. From there we has come across lots of obstacles. But my students, and me was always silent but working. To day I have bough the innocent students to the global village. Batuwangala is 65km away from Galle city. But now I have made it one click to the whole world. I want to see a day where my students use computers as professionals do one day. (editing On 2015.04.04) Now I work in another school. 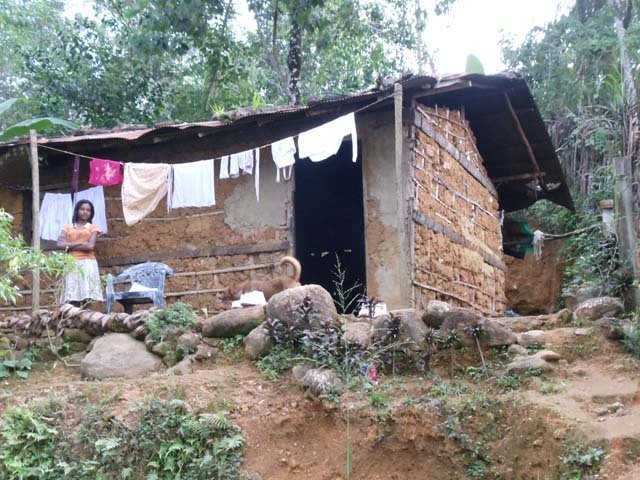 The hydro power plant and computer Lab of Batuwangala Maha Vidyala is no more.. I don't know what happened. But surely there were ignorant fools behind my transfer. I got married and now I am working in Hiniduma Mallika maha Vidyalaya. Same role but different place. I don't feel that this school is different coz same people with same attitudes are here. So up to date my profile is this. This entry was posted in සේවා, My own comments, women and tagged Aruna, Aruna chaminda, Aruna chaminda pushpakumara, Aruna Sir, අපි, අම්මා, අරුණ චමින්ද, අරුණ සර්, අවවාද, අවවාදයක්, ආකල්ප, ඉංග්‍රීසි, ඉගෙන ගැනීම, ඉරණමඩු, ඌරා, එල්.ටී.ටී.ඊ, කෙල්ලෝ, කොටි, කොල්ලෝ, ජංගම දුරකථනය, ජපානය, ජීවිතය, තාත්තා, තීරණ ගැනීම, දෙමාපිය යුතුකම්, දෙමාපියන්, පාඩම, පාඩම්, පාසල් ගැහැණු ළමයි, පාසල් පිරිමි ළමයි, පාසල් ළමයි, පුතා, පොඩි ළමයි, බටුවංගල, බටුවංගල ඊ ගම්මානය, බටුවංගල මහා විද්‍යාලය, බටුවංගල විද්‍යුත් ගම්මානය, බුදුහාමුදුරුවෝ, රැකියාව, රැකියාවක්, රූපවාහිනිය, රූපවාහිනී උදෑසන වැඩ සටහන්, ලංකාව, වැව, වීඩියෝ කොන්ෆරන්ස්, වෙඩිතැබීම, වෙසක් කාඩ්, වෙසක් පැතුමු, වෙසක් සුභ පැතුමු, සංස්කෘතිය, සතුට, සතුටින් දිවි ගෙවන මග, සමාජ ආරක්ෂණය, සමාජය, සිංහල, සිංහල බ්ලොග්, සියදිවිනසා ගැනීම, සිසුවියෝ, හිතේ සතුට, හෘද සාක්ෂිය, ළමා කාලය, Batuwangala, batuwangala e-village, Batuwangala evillage, Batuwangala Maha Vidyalaya, BMV, Evillage, Mother ஸ்ரீ ලංකා. Bookmark the permalink. 38 Responses to සන්ධ්‍යා නිරෝෂනීලාගේ කතාව. මචං, අපි කොහොමද මේ ප්‍රස්නෙ විසදන්න දායක වෙන්නෙ? අපි එකතු වෙලා කතා කරලා යමක් කරමු. මං දැනට පොඩි ගේ පොඩ්ඩක් හදන්න යන වියදම හදලා දෙන්න කියලා කෙනෙක්ට කිව්වා.වයා ඒක හදලා දුන්න ගමන් අපි ඊලඟ පියවරට යමු. අපි මේක හැමෝටම කියමු.FB එකෙන්. මේල් වලිං කියමු. හොඳ වැඩක් අරුණ සර්. ඔය වගේ සත් කාර්යයකට දාායක වෙන්න කැමති බොහෝ දෙනෙක් මෙතනත් ඉන්නවා. ඒ අයත් දැනුවත් කරමු. මේ ලිපිය කියවලා ඉවර වෙච්ච ගමන් හිත කඩාගෙන වැටුනා. අපි බලමු මොනවද අපිට මේකට කරන්න පුළුවන් කියලා. යම් සැලැස්මක් තියෙනවනම් කියන්න. අපිට හැකි උපරිමයෙන් උපකාර කරන්න බලමු. මේ වගේ අසරන පව්ලකට උදව් කරන්වා කියන්නේ බොහොම පින් වෑඩක්,අපිත් සහයෝගය දෙන්නම් අපිටත් මේ ගෑන දන්වන්න…. මේ බ්ලොග් එකට ආපු පලවෙනි වතාව. ලොකු දේවල් කරන්න බැරි වුනත්, ඉදිරියට කරන දේකදී පුළුවන් උපරිම සහයෝගය දෙන්නම්. ඉලන්දාරියාට උදව්වෙන්න එකතු වෙච්ච අපිට මේකත් බැරි නෑ. හැමෝම පුළුවන් විදිහට උදව් කරයි. apenuth monawa hari udauwak onanam kiyanna…..
කරන්න පුලුවන් ෙදයක් අපි කරමු. ඉදිරි වැඩපිලිෙවල ගැන ෙම් හරහ දැනුම් ෙදන්න. අනිවාරයෙන්ම අපි දැනෙන දෙයක් කරමු. ඇත්තටම අපි දුර පලාත්වල ගම් හරහා වැටිල තියෙන අලුතින් කාපට් දාපු පාරවල් වලින් යනකොට අපිට පේන්නෙ පාර අයිනෙ තියෙන සංවර්ධනේ විතරයි. නමුත් ගම ඇතුලට ගියාම තමයි ඇත්ත තත්වෙ පේන්නෙ. මමත් දැන් සේවය කරන්නෙ ඒ වගේ ගමක නිසා ඒ වෙනස මම හොඳටම අත් විඳිනවා. තාමත් රබර් සෙරෙප්පු දෙකක් වත් , සුදු පාට නිල ඇඳුමක් වත් නැතුව පාසැල් යන ලමයි මම ඉන්න ගමේ ඉන්නවා. අපි පුලුවන් විදියට මේ ලමයින්ට දෙයක් කරන්න බලමු. මේ තමයි අපේ රටේ අනාගතය. මමත් දැං අවුරුදු පහකට ඉතා කිට්ටු කාලයක් මේ ගමේ ඉන්නවා. මෙහේ තත්වයත් ඕකම තමයි. කමෙන්ට් කරපු සියලුම දෙනාට ස්තූති. අපි තනි වෙලා නෑ කියලා දැනෙනවා. මෙන්න මේ දේවල් අපට අවශ්‍යයි. අපි හදන්නේ අඩි 18ක් දිග අඩි 12 පළළ කාමරයි පොඩි සාලෙකුයි තියෙන ගෙයක් හදන්න. මෙන්න මේවා තමයි අපේ අවශ්‍ය තා දැනට. උදව්වක් දෙන්නම් මචන් පුළුවන් හැටියට . උදව්වක් කලේ නැත්නම් ජීවිත කාලෙටම දැනෙන අඩුවක්. හොද වැඩක්…. අපි පුළුවන් දෙයක් කරමු…. matat puluwan yamak karanna,0718401778 katakaranna. මමත් උදවු කරන්න සූදානම් මයෙ උපරිමෙන්…. මමත් සල්ලි හොයාගෙන ඉගෙන ගන්න කෙනෙක්…ඒ වුනාට මටත් යමක් කරන්න පුලුවන් මයෙ ප්‍රමාණෙන්…..
ahinsaka minisun wenuwan oba me karan dawalata obata pin..
Pingback: සන්ධ්‍යා නිරෝෂනීලාගේ අලුත් ගෙදර. | තරුණ ගුරුවරයකුගේ සටහන්(A young teacher’s thoughts). අන්තර්ජාලය හරියාකාරව ප්‍රයෝජයනට ගන්නවා කියන්නේ මෙන්න මේකටයි අරුණ. හරිම සතුටුයි ඔයාගේ මේ වැඩේ ගැන . .
සුලුවෙන් හරි මේ වැඩේට දායක වෙන්න ලැබුනු එක ගැනත් සතුටුයි . . .
ස්තූතියි දුකා අයියා.ලඟින් ඉන්නවනේ අපි මේ වැඩේ ඉවරයක් දකින කල්?? අනිවාර්යෙන් ඔව් . . ..
ඔය තියෙන ලිස්ට් එකේ බඩු ටික එක පාර හාර්ඩ් වෙයාර් එකකින් ගත්තොත් ලේසියි නේද ? මේකට COLLECTION ACCOUNT එකක් දාල තියෙනවද ? සමාවෙන්න ඕන…පහුගිය දවස් වල මගේ බ්ලොග් කියවිල්ල ටිකක් සීමාසහිත වෙලා තිබුන නිසා මේක මට මග හැරුනා..මූණු පොතේ තිබුන පොටෝ ටික දැකලා තමයි අද මේ පැත්තට එන්න පාර හොයා ගත්තෙ…ඉතිරි ටිකත් කියවන්න ඕන..හැකි ඕනම උදව්වක් කරන්න සූදානම්..ඔබට නියම ගුරුපියෙක්..මගේ ආචාරය..